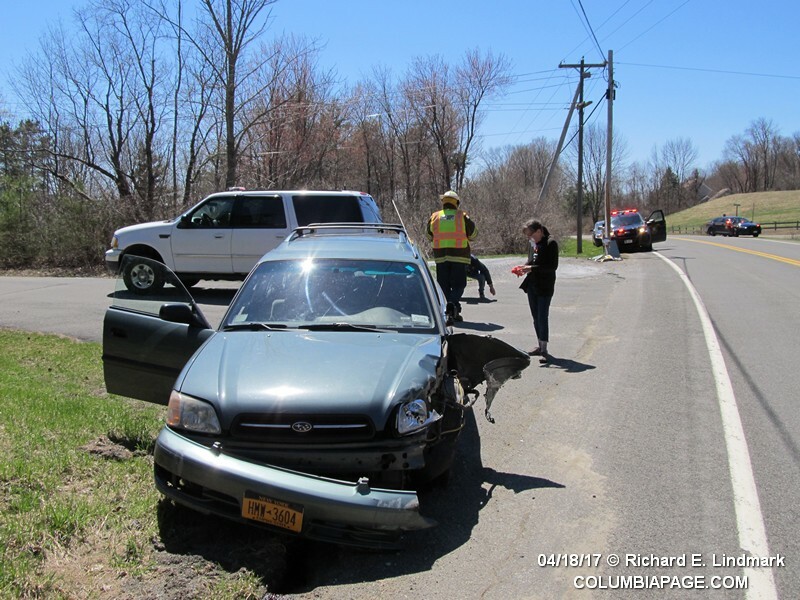 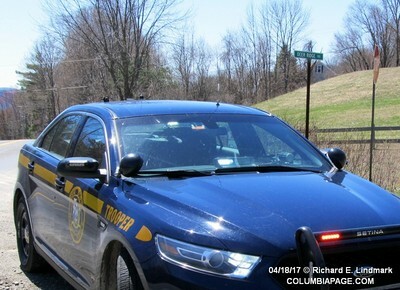 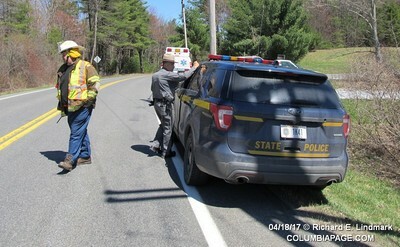 Columbia County 911 dispatched Lebanon Valley Firefighters and Chatham Rescue at 12:08pm for a reported one car accident. 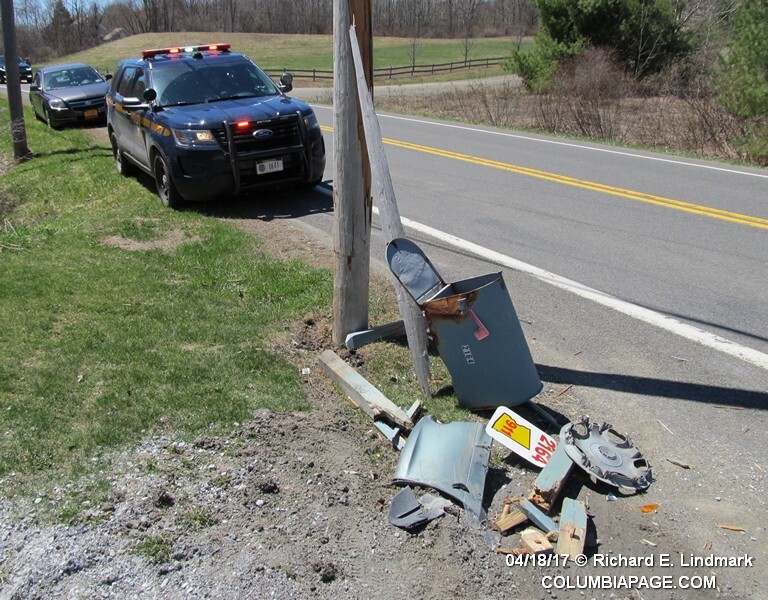 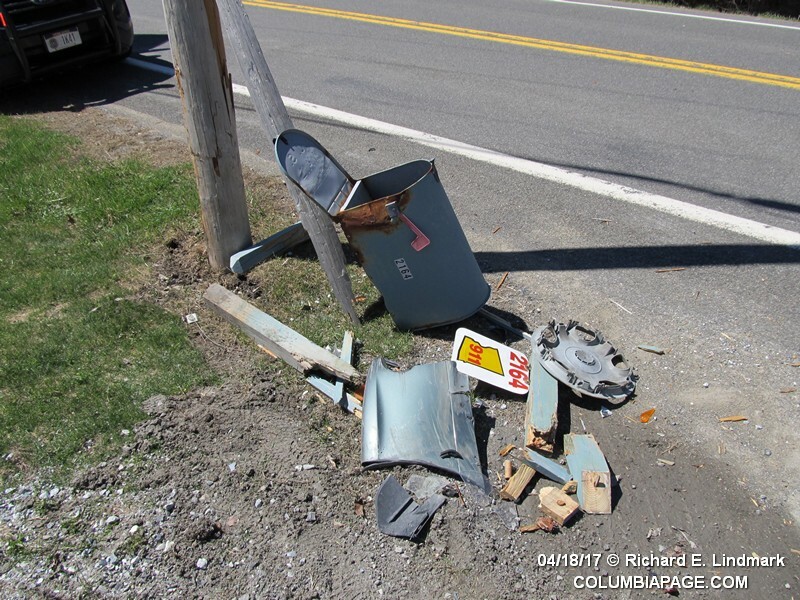 It was reported that one vehicle struck a pole on Route 5 just north of Deer Run Road in the Town of New Lebanon. 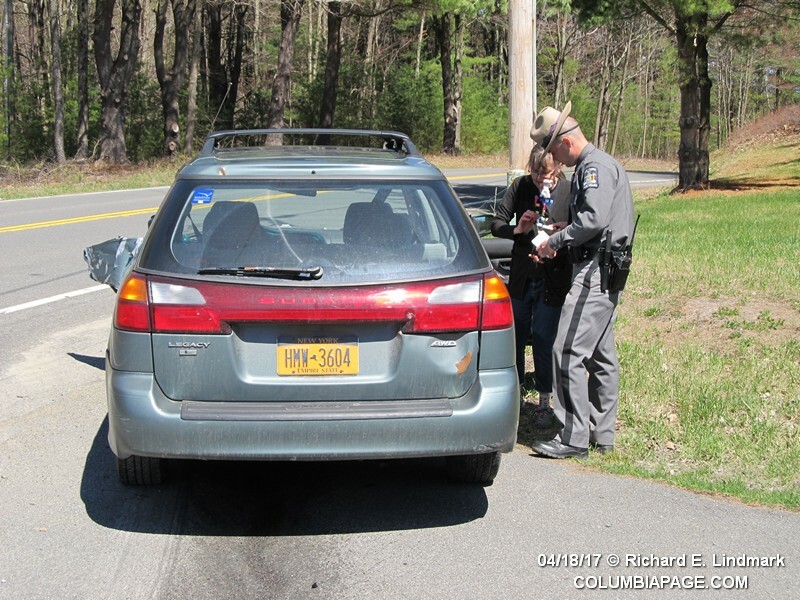 The driver reported she swerved to avoid a deer. Fairpoint Communications was requested to the scene. There was no transport by Chatham Rescue. The driver refused medical attention. 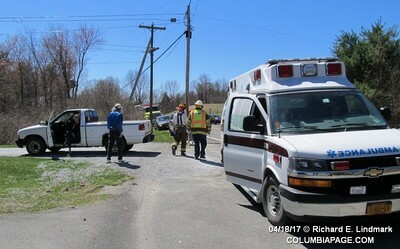 Lebanon Valley Firefighters were back in service at 12:43pm. New York State Trooper Ryan West investigated with Trooper Carmen Martino. It was Trooper Martino's last day. 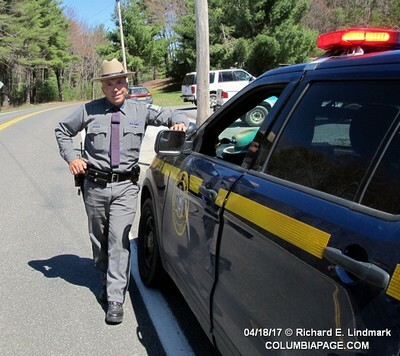 We here at ColumbiaPage wish Trooper Martino all the best in his retirement after 23 years of service. 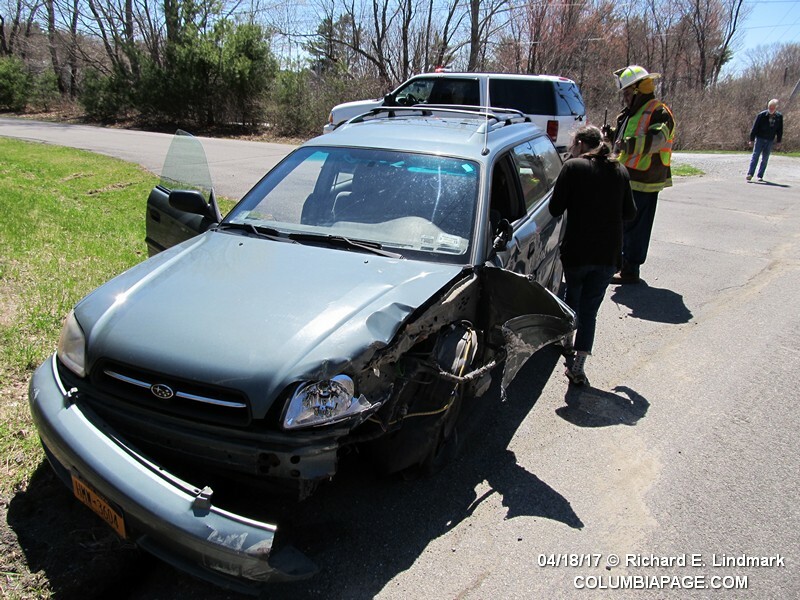 Congratulations 2367!